Every single house or apartment has that one spot. You know the spot I’m talking about, it’s the one that no matter how many times you’ve read the instruction manual and no matter how many times you’ve repositioned your router, your wireless connection still doesn’t reach. There’s never a logical reason for it, but your phone, your laptop or your tablet never get a wireless connection when you’re there. It’s a frustrating experience and one that you desperately wish to remedy. Fortunately, there are wireless Internet boosters available so you can get service in those hard-to-reach places. Distance and speed are the two enhancements most people seek to fix when talking about wireless signals. They go hand in hand, because while the signal may reach certain places, it’s so weak that it’s almost not worth it. No one wants to use the Internet at a snail’s pace. That’s almost more frustrating than having no signal at all. For large houses, it’s possible that you’ll need a second device to reach every area, but that’s only if you have a home that’s much, much larger than average. If that’s not the case and you want to avoid running unsightly cables all over the place, a wireless Internet booster is probably your best bet. There are two main options for boosting your wireless signal. The prices vary depending on what kind of reception you hope to get and where you place them, so make sure you do a little research on each brand before you spend your money. A wireless extender is the most common device used for boosting wireless signals and is probably the most reliable. Wireless extenders won’t always list the specific reach, but the best will double the range of your current router at the very least. Place the extender at the edge of your dead zone and it will find the signal, repeat it and send it to those hard to reach areas. Another device to use as a wireless Internet booster is a PLC or a Power Line Communication device. This device works by connecting your router to an outlet nearby and then travels through the electrical lines in your home to another device. That sends the signal to whatever you’re trying to use the Internet on – whether it’s a smartphone, tablet, laptop or desktop computer. 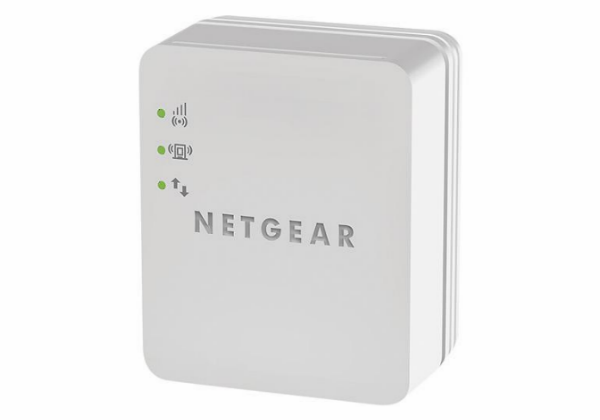 Functionality – While most boosters won’t tell you exactly how much your range will increase by, the best will have indicator lights for a stronger signal and up to five Ethernet ports. Features – Easy connect ability is key with boosters, so make sure to get one that’s compatible with the router you’re using. Help & Support – Most of the time, setting up a wireless Internet booster will be fairly simple, but in the chance that it’s not, you’ll want some answers. Look to see if the booster you’re purchasing has live online chat, a direct phone line or email support. There are a lot of different products on the market that do one thing, but make sure you get the one that does that thing the best. Otherwise you’ll be standing at the edge of your Internet dead zone cursing the gods of Wi-Fi.